HCMC leader says the city should develop and use artificial intelligence (AI) towards realizing its Industry 4.0 potentials. The municipal Party Secretary, Nguyen Thien Nhan, said at a scientific conference Wednesday that the city should work with experts, relevant units and companies that have developed AI related projects. At the same time, it should set up a board to develop and operate a master program for coordination and research in AI, he said. That board would gather scientists and researchers who will advise the city on what it should study and invest in; who it should choose as strategic partners; and what aspects it should focus on in the coming years. "If we want to make HCMC a smart city and enter the Industry 4.0 era, we have to study and apply AI," Nhan said. In 2017, the southern metropolis, the biggest city in Vietnam, started implementing a master plan to transform itself into a smart city by 2020. The goal of this ambitious plan is to use scientific advances to solve problems the city is facing, including rapid population growth, unsustainable economic growth, inadequate forecasting, planning and management, poor health, education and transport, pollution and weak public administration. The plan will focus on creating a better living environment for the city’s residents, it was said. Nhan told the meeting that as an economic hub with a large population of more than 10 million, HCMC has enough conditions to set up a center for studying and applying AI. He added that the city’s budget can be used to implement AI projects, but the money should be spent wisely and reasonably. The city will propose the AI master plan to the government soon so that it can be implemented at the earliest, Nhan said. Experts attending the conference said the city should focus on training personnel, keeping updated with new technology trends and getting foreign investors involved so as to turn its AI dream into reality. Vu Hai Quan, deputy director of the Vietnam National University-Ho Chi Minh City, suggested adding programming to the general education program and organizing AI courses in some specialized schools. Under this plan, the city should master basic AI technologies between 2020 and 2025, and spend the subsequent five years on upgrading and developing technologies that the city can directly apply in healthcare, traffic infrastructure, and military defense. Professor Ho Tu Bao from the Vietnam Institute for Advanced Studies in Mathematics said AI should bring about drastic changes in some key areas such as digital governance (text database, public administrative services), traffic (digital traffic and logistic maps in transport), and healthcare (medical electronics and digitized health records). "After two years talking about Industry 4.0 and 'smart city,' it’s time for us to actually work on that and achieve specific results," he said. Other experts said that apart from adding new courses to schools and training staff, HCMC should equip its employees with needed knowledge and skills in AI and establish a channel to connect Vietnamese experts with foreign counterparts. Nguyen Duy Luan, a lecturer at the University of Texas in Austin, suggested that the city issues preferential policies for foreign investors in high-tech areas. "Foreign investors in this sector should be supported in terms of taxation and administrative procedures; and Vietnamese colleges should connect with foreign firms to organize AI courses," he said. Nguyen Hoang Tu Anh, principal of the University of Information Technology under Vietnam National University-HCMC, said the city needed a chief architect for its AI development program. From the side of investors, Hoang Minh Phuong, CEO of a young tech firm based in the city, said he expects that the bidding to choose companies for implementing the AI master plan will be a transparent and fair process. He was assured by the city’s Deputy Chairman Tran Vinh Tuyen, who said all auctions will be made public. 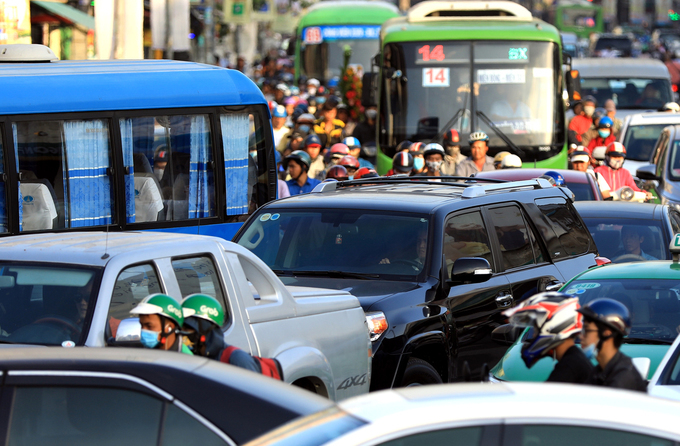 Duong Anh Duc, director of the municipal information and communications department, said the city will order independent research teams to work on specific projects that could meet practical and urgent needs of the people, instead of letting researchers work on their own projects and wait in line for approval. Then, the group that could create the most feasible and convincing product would get funding, he said.